Many UK consumers believe that tax free airport shopping can save them up to 20% on the high street price, but a recent survey by shopping comparison website Kelkoo shows that the discounts can be as less than 4%. Kelkoo has carried out a Mystery Shopper exercise to find the best and worst airports when it comes to tax free shopping by taking a sample of 22 products, including products from health and beauty, luxury, fashion, electrical, wine and spirits, tobacco, fine foods and confectionery. The product prices were collected in 10 tax-free retail airport outlets in Europe, and compared to prices online and against the average RRP in local high-street stores. Kelkoo found that prices for the same products varied by hundreds of pounds between airports, from digital cameras to chocolates and handbags and perfume. The findings also show that airport retailers are charging prices that are, on average, only 6.2% cheaper than the high-street. London’s Heathrow topped the list as offing the worst tax free discounts in Europe, with an average discounted price of just 3.1% less than high street prices. Berlin Schönefeld offered the second worst discounts at 4.6%, with Gatwick being ranked fifth with savings of just 5%. The results show that British airport retailers are the most expensive for luxury, fashion and electrical goods. Health and beauty products are the most expensive in Spanish airports and the French airport retailers charge the highest prices for wine and spirits. Two French airports were shown to offer the best overall savings. Lyon-Saint Exupéry was found to offer an average saving of 11.9%, with Charles de Gaulle in Paris a close second with average savings of 11.5%. Gone are the days of bagging a fantastic airport bargain. 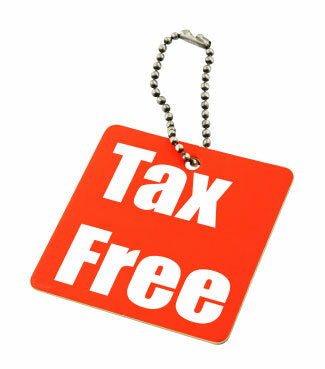 Tax free shopping replaced duty free shopping, which was abolished by EU member states in 1999. Now travellers whose journeys start and finish within the EU can only purchase goods which are free of VAT. Duty free is still available to travellers who start or end their journey outside the EU. Duty free shopping is free of VAT and excise duty.